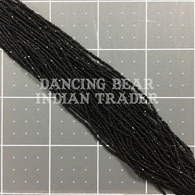 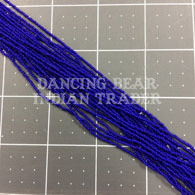 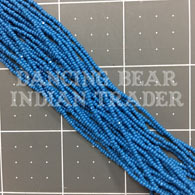 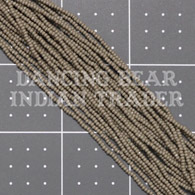 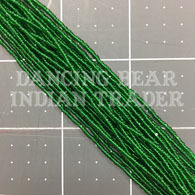 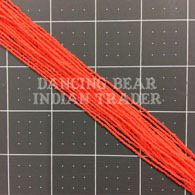 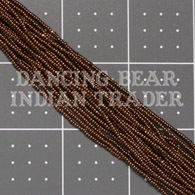 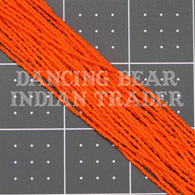 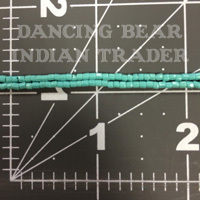 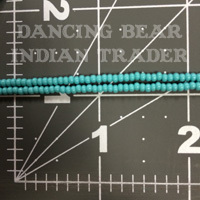 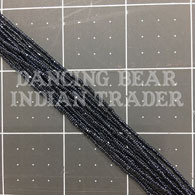 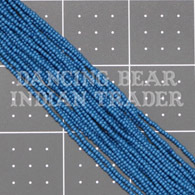 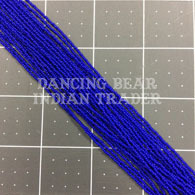 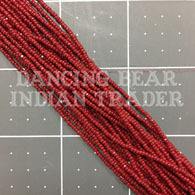 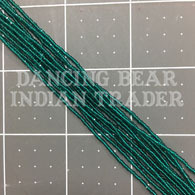 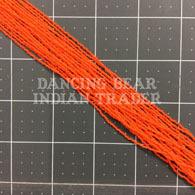 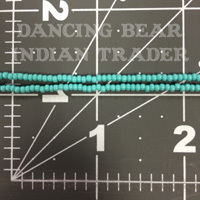 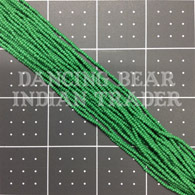 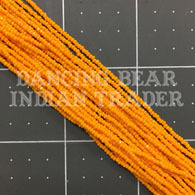 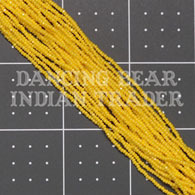 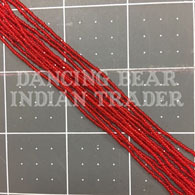 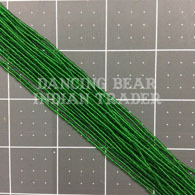 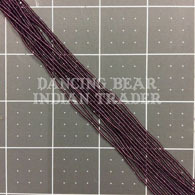 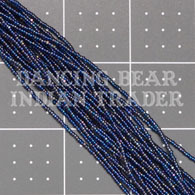 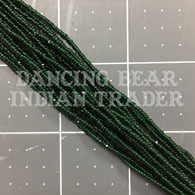 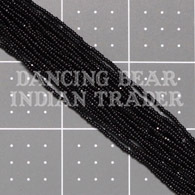 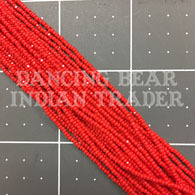 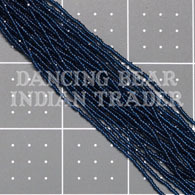 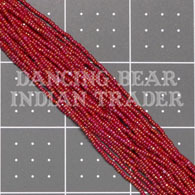 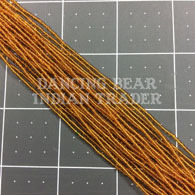 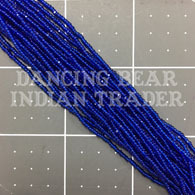 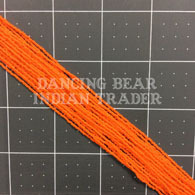 Here at Dancing Bear Indian Trader, we strive to have the BEST collection of beads for the Native American community. 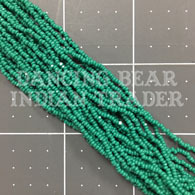 We have searched far and wide and we are really proud of our Native American Craft Supply, as you can see below this text a picture of the wall of beads that we bring to all of the powwows we attend. 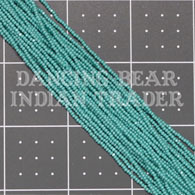 We sell several shades of colors, several finshes and shapes. 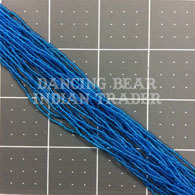 and many other craft applications. 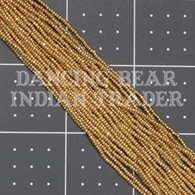 Bead prices constantly fluctuate, due to US currency exchange rates. 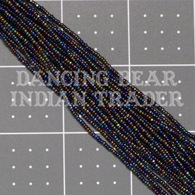 All colors of the beads on our website may vary according to your monitor & printer settings. 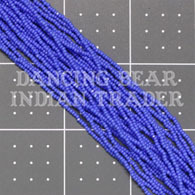 If you need help to match any of the colors you have, please contact us. 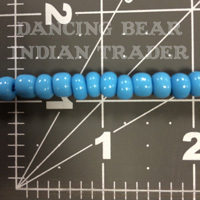 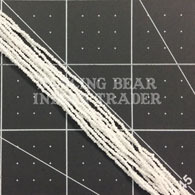 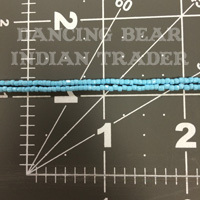 Sizes of Beads according to inches and cm. 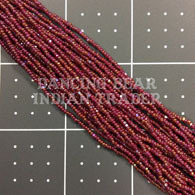 Colors and sizes vary, all beads are handmade. 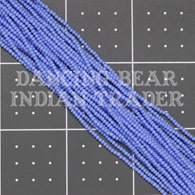 15/0 Czech beads are perfect for adding tiny detail to beadwork. 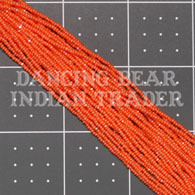 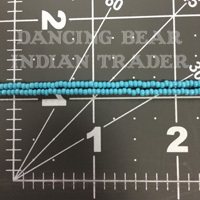 They are the same size as 15/0 Cut Czech beads and can fit nicely together for Native American applique beadwork. 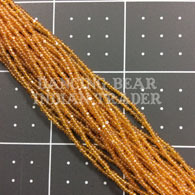 Size #15 Beading needle is suggested for this size of Czech beads. 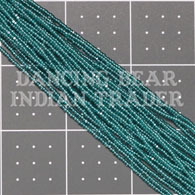 Czech beads are great for beaders that want color that will last forever. 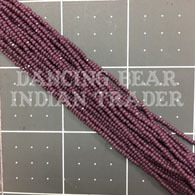 All of the standard bead colors are color fast! 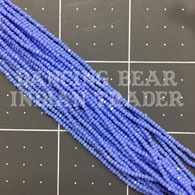 The czech bead shape is a little bit irregular and the hole is a little smaller, but the color fast quality of the czech glass bead makes them very popular. 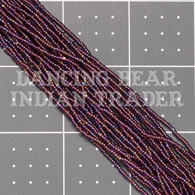 Standard opaque beads and transparent beads with colors like: Red, Orange, Yellow, Green, Blue, Purple, Black, White, Brown and Grey. 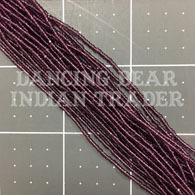 Special finish colors such as bright Purple and bright pinks, silverlined, luster and AB all have a coating that can wear off. 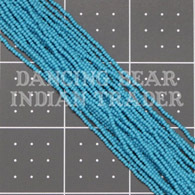 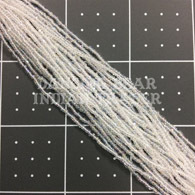 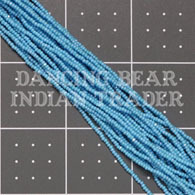 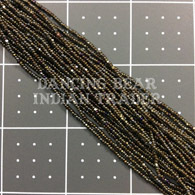 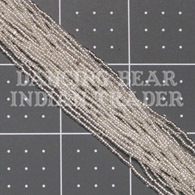 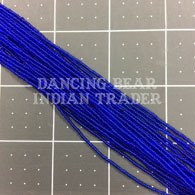 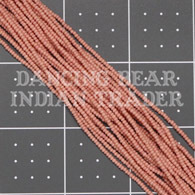 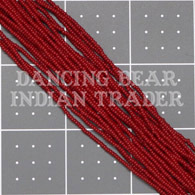 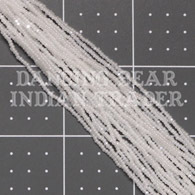 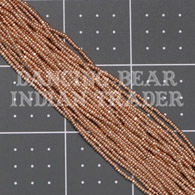 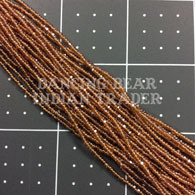 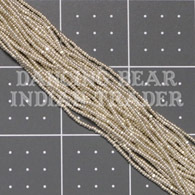 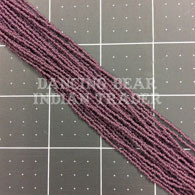 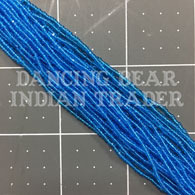 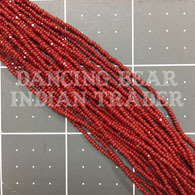 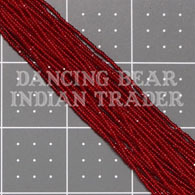 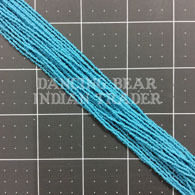 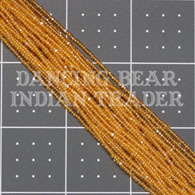 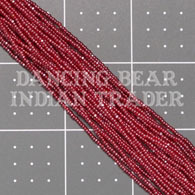 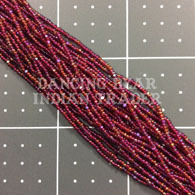 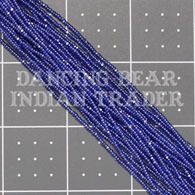 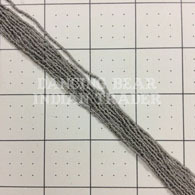 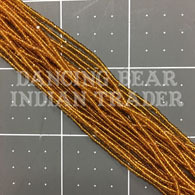 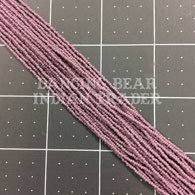 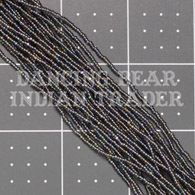 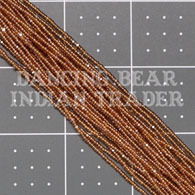 15/0 cut Charlotte Czech beads are perfect for adding tiny detail to beadwork. 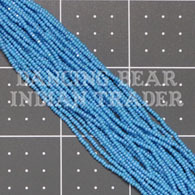 They are the same size as 15/0 Czech beads and can fit nicely together for Native American applique beadwork. 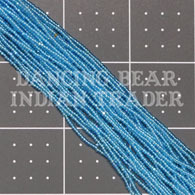 Size #15 Beading needle is suggested for this size of Czech beads. 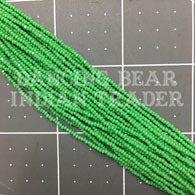 This size bead is out of production, Limited supply available. 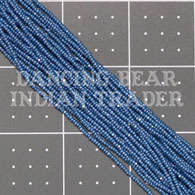 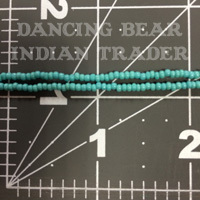 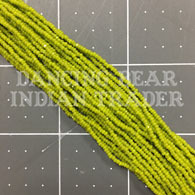 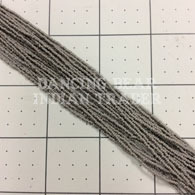 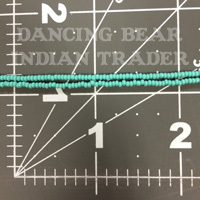 13/0 Czech beads are perfect for adding detail to beadwork. 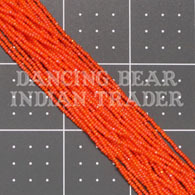 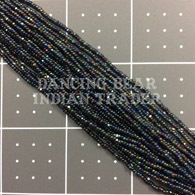 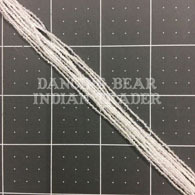 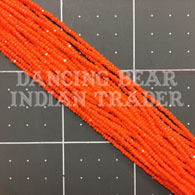 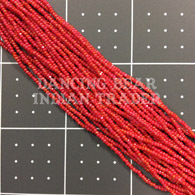 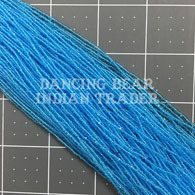 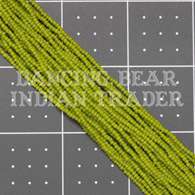 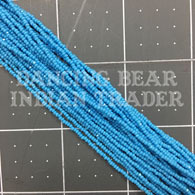 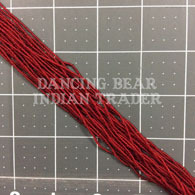 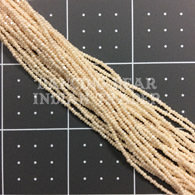 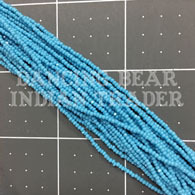 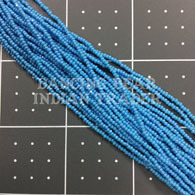 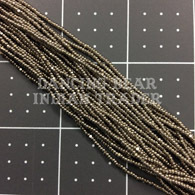 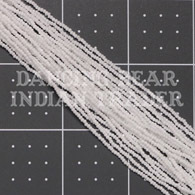 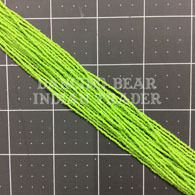 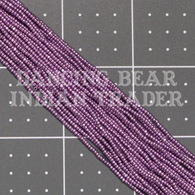 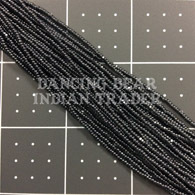 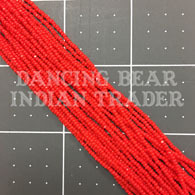 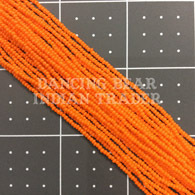 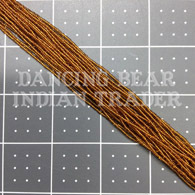 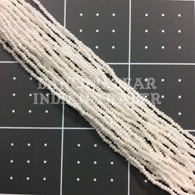 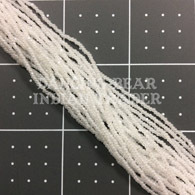 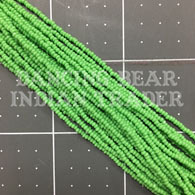 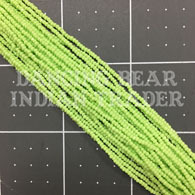 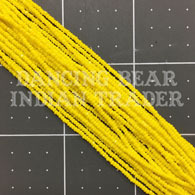 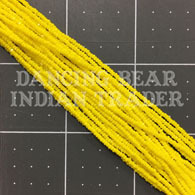 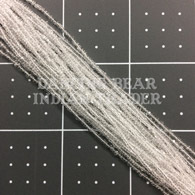 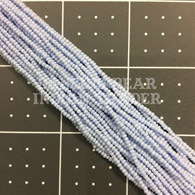 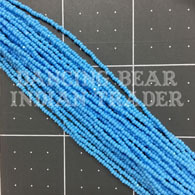 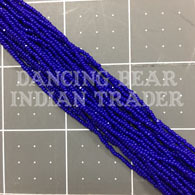 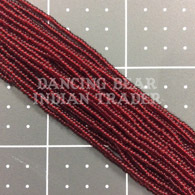 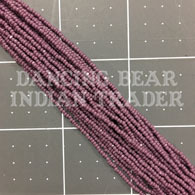 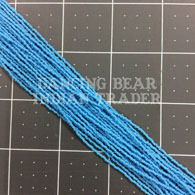 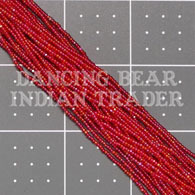 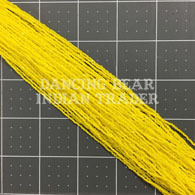 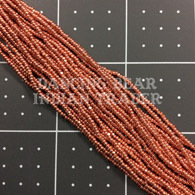 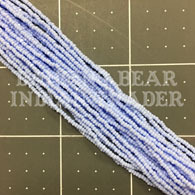 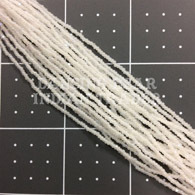 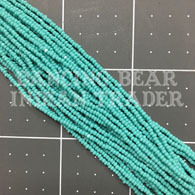 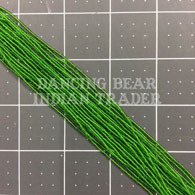 Also similar to size 15/0 Japanese Seed Beads. 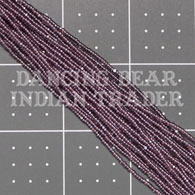 Size #13 Beading needle is suggested for this size of Czech beads. 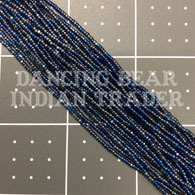 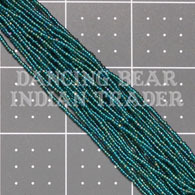 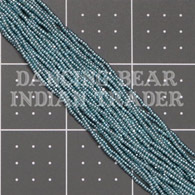 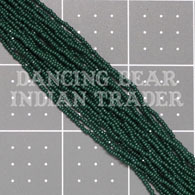 13/0 Charlotte Czech beads are perfect for adding detail to beadwork. 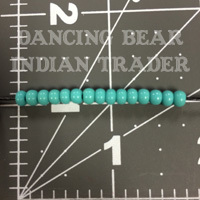 12/0 Czech beads are slightly smaller than size 11/0. 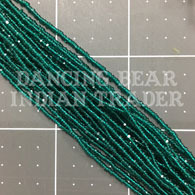 Size #12 Beading needle is suggested for this size of Czech beads. 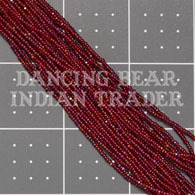 11/0 Czech beads are the most popular size. 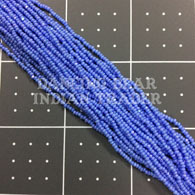 There are many colors available from our suppliers. 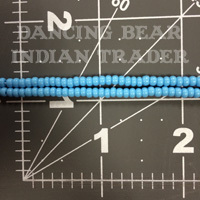 Size #11 Beading needle is suggested for this size of Czech beads. 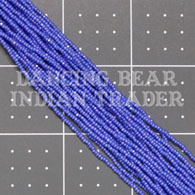 10/0 Czech beads are the most popular size. 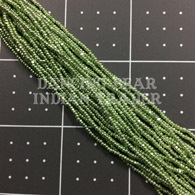 There are many colors available from our suppliers. 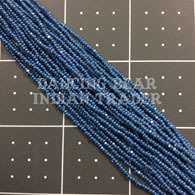 Size #10 Beading needle is suggested for this size of Czech beads. 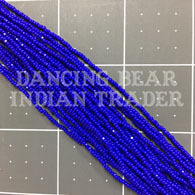 10/2 Czech beads are the most popular size. 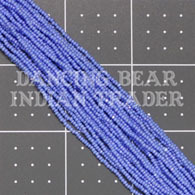 There are many colors available from our suppliers. 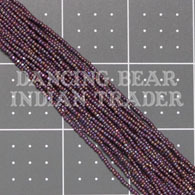 9/3 Czech beads are the most popular size. 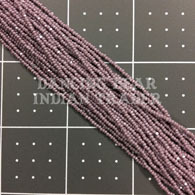 There are many colors available from our suppliers. 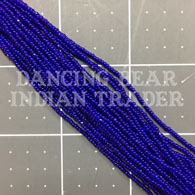 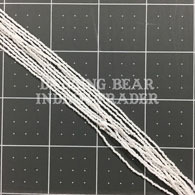 8/0 Czech beads are the most popular size. 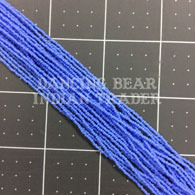 There are many colors available from our suppliers. 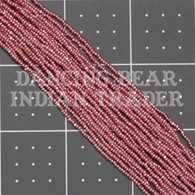 6/0 Czech beads are the most popular size. 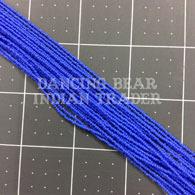 There are many colors available from our suppliers. 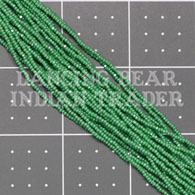 1/0 Czech beads are the most popular size. 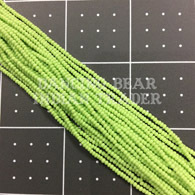 There are many colors available from our suppliers.